The Way of Nowhere is a business book by the UK's hottest change management consultancy who have led transformations in some of Britain's biggest and best known organisations. An invaluable resource for anyone who wants to make a creative difference in their lives and the lives of people around them. The Way of Nowhere is a business book by the UK's hottest change management consultancy who have led transformations in some of Britain's biggest and best known organisations. An invaluable resource for anyone who wants to make a creative difference in their lives and the lives of people around them.Inspired by the unique practice of 'nowhere', a community of companies that specialise in co-creation, this is an inspirational book that will help you break through to a more creative and strategic futureRenowned for their world-class approach to innovation, the nowhere group works with a wide range of businesses, government agencies and individuals to develop their creativity to its full potential. Now, their book maps out the groundbreaking ways that anyone can become more productive, playing a more creative role in your organisation while simultaneously nurturing your own growth along the way.It contains eight breakthrough questions designed to stimulate and enrich our creative capacity, both as an individual and as part of a team. 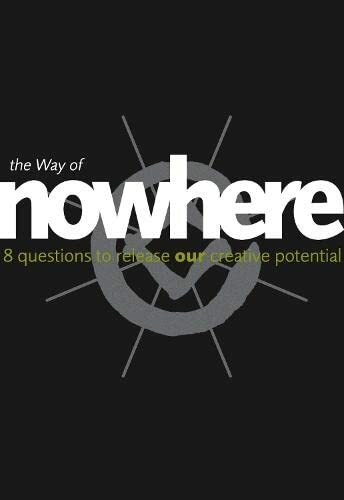 Using examples and tools from their work with some of the UK's largest and best known businesses, The Way of Nowhere shows us how to unlock the underlying and invisible forces at play within organisations, communities and cultures.With practice, you will discover how these questions and insights can release the latent creativity that exists within - a place where magic can happen - out of nowhere!